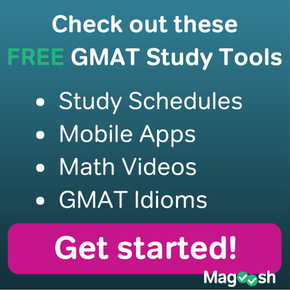 GMAT Integrated Reasoning giving you trouble? You’re not alone! That’s why Magoosh is excited to present you with the ultimate GMAT Integrated Reasoning eBook: Magoosh’s Complete Guide to GMAT Integrated Reasoning! 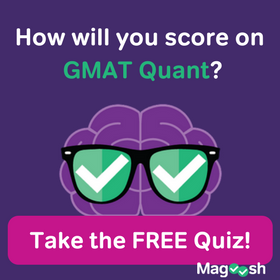 What is GMAT Integrated Reasoning? The GMAT Integrated Reasoning section tests your quant-based and verbal-based reasoning in 4 parts: multi-source reasoning, table analysis, two-part analysis, and graphics interpretation. This free ebook will explain each of these parts in detail. What Will I Find Out in This GMAT Integrated Reasoning eBook? 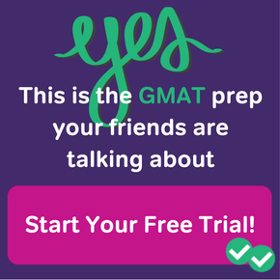 We know that GMAT IR can be confusing. Our expert instructors have worked with thousands of students on GMAT Integrated Reasoning. They know exactly what questions you have–and how to answer them! How on earth is it scored? What can I expect to see on test day? How can I practice on my own? And they’ve put the answers in the Complete Guide to GMAT Integrated Reasoning! Recommendations for what and how to study to do your best on this new section! And it’s free! 🙂 So feel free to print it out, share with friends, and use it on the go to read up on how to conquer Integrated Reasoning on the GMAT. If you have any suggestions, feedback, or questions about our eBook, let us know by leaving a comment below. We’d also love to hear any suggestions for the topic of our next eBook (idiom lists? math formulas? ), so let us know those as well! For a more general introduction to the new GMAT (that goes beyond GMAT Integrated Reasoning), check out our “Complete Guide to the GMAT” eBook here.